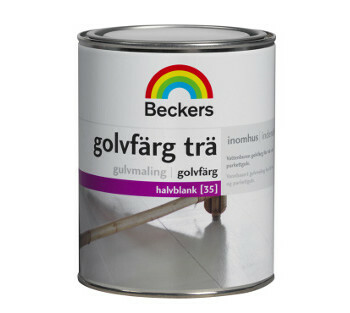 Beckers Floor Paint Wood. A high quality water-borne floor paint designed for coating interior wooden floors. Has the wooden floor started to look a little sad lately? Paint it with Beckers Floor Paint Wood 1L. This is a high quality water-borne floor paint. It is designed just for coating interior wood floors. The product contains no strong solvents and is therefore kind to you the painter. It is also kind to the environment. 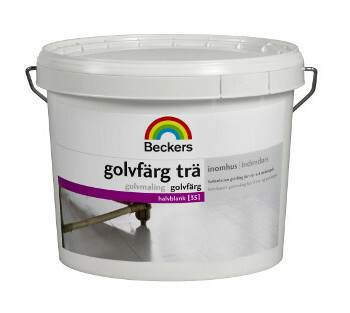 Golvfärg Trä (Floor Paint Wood) goes on easy and provides a durable finish.